The Rolex Kentucky 3 Day Event is happening right now at the beautiful Kentucky Horse Park. This is the only CCI**** (four star) competition in the United States – the highest international competition level in the sport of eventing. There’s lots of great information on the web about the course, the riders, the horses, the owners, the grooms, the facility, et cetera, especially at Eventing Nation and Horse Junkies United in addition to personal and barn blogs. But what I would like to showcase are the 3 riders who hail from California. I’ve been privileged to see all 3 of these riders compete (and a few of the others competing at Rolex this year) and as a Californian eventer I’m proud of them for representing the west coast at the nation’s most challenging competition. Firstly, I find it absolutely fascinating to learn that the entry fee to compete at Rolex is only $100. Yep, $100. That’s about one-third of “typical” west coast entry fees. Stabling is an additional $140, but that is for a full week! Check out the official omnibus listing for the event here. The female riders are riding mares, while the male rider is riding geldings. 2 of the 3 riders do not represent USA at international competitions. 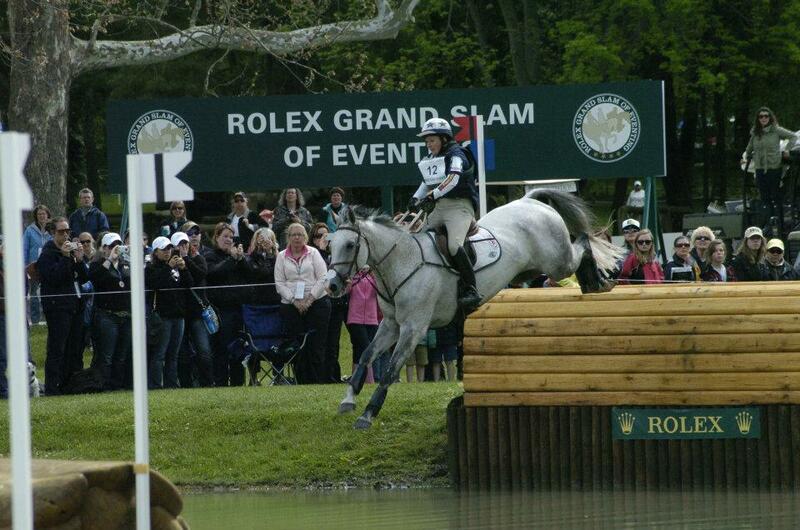 All 3 of the riders and 4 of the 5 horses have competed previously at Rolex (Tivoli is making his Rolex debut). Between the 5 horses, 3 are USA-bred and 2 are imports. Between the 5 horses, there are 3 bays, 1 chestnut, and 1 grey. On to the 4-star riders from California. Ladies first. Kristi of Kristi Nunnink Eventing/Next Star Farm in Auburn, northern California, has been at the top of the sport for many years. The most notable recent accomplishment aboard R-STAR was their 2012 win at the CIC3* at the Event at Rebecca Farm. This is the pair’s 4th time competing at Rolex – they’ve competed each year starting 2010. Her mount, R-Star, is a beautiful grey Holsteiner mare, born in the US in 2001. She is owned by Kristi. She stands at 16.2 h.h. and is a thick powerhouse of a horse, but lovely to watch – she makes it look effortless. Photo from Kristi’s Facebook page. 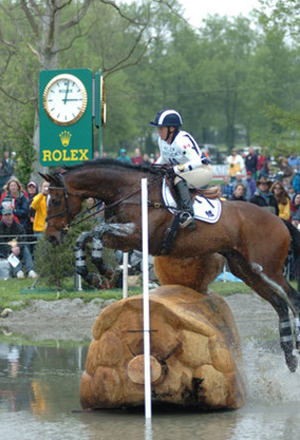 Kristi and R-star competing at Rolex in 2012. Hawley hails from Temecula in Southern California. She trains out of Kingsway Farm which is literally across the street from the Galway Downs facility. Though she lives and works in the US, she is Canadian and competes for the Canadian international team. 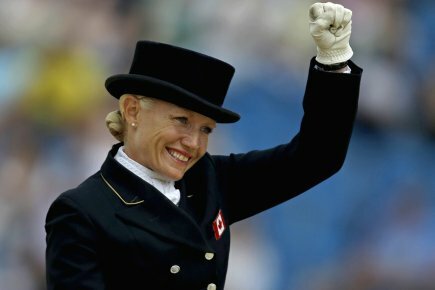 She proudly represented the west coast internationally by competing at the 2012 London Olympic games, where she unfortunately had a fall and was hospitalized. She made a surprisingly quick and full recovery, and won 3 different CIC3* competitions in March of this year! I’ve had the privilege to watch her ride several times; I was struck by her safe, defensive position and clear verbal communication with her horses. 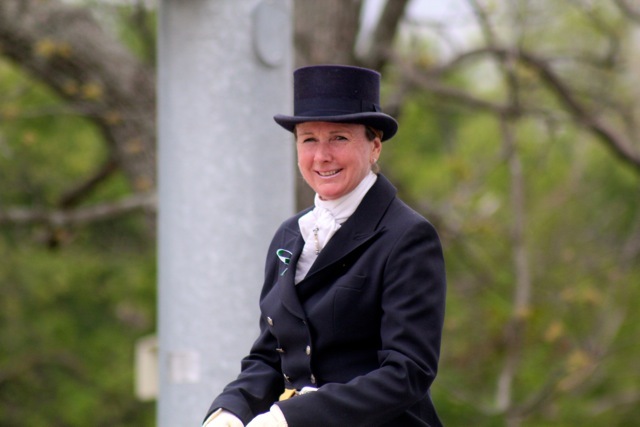 This is her third time competing at Rolex, and 2nd time aboard Gin & Juice, a small but mighty Thoroughbred mare co-owned by Hawley and Linda Paine. Ginny was born in the USA in 2000 and is 15.3 h.h. Both Hawley and Ginny are darlings of the west coast eventing scene – both are cute and friendly and great competitors. 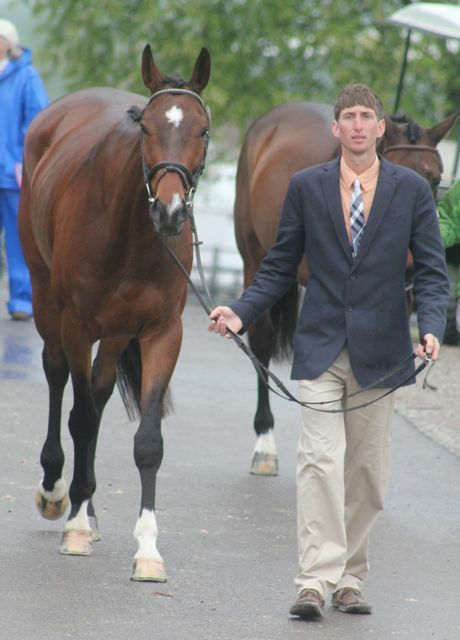 James Alliston has been competing more horses than you can shake a stick at! The young man (he’s my age – 26!) is based out of Castro Valley in Northern California, originally from the United Kingdom and representing Great Britain at international competitions. He cleans up regularly at competitions, amazingly able to show 3 to 5 mounts at events. For example, at the March Galway Downs event he placed both 2nd and 3rd in the Advanced division, and both 2nd and 4th in the CIC3* division. He’s quite tall, and from watching him ride I found him to be a particularly quiet, focused rider. With three mounts at Rolex he’s got numbers to his advantage. All three of his rides are geldings, and consistently place very well. Jumbo’s Jake and Parker have competed at Rolex before, though it will be Tivoli’s first time at this competition. Fun bios :) Thanks for the info. 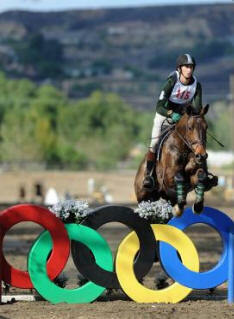 Hawley has done a few clinics at my barn, shes a great teacher and rider!